For the brine, heat the brine ingredients in a saucepot to dissolve the sugar and salt then cool completely. Place the turkey in 2.5-gallon plastic bag and add the brine. Let rest for several hours, preferably overnight. If using a conventional oven, set the turkey on a metal rack set on a rimmed baking sheet and pre-heat the oven to 325ºF. Pat the turkey dry, rub with EVOO and season with ground pepper. Roast for 15 minutes per pound. In Recipes-list.com we have selected the most viewed recipes from category - uncategorized . Enjoy the best recipes specially selected for you! 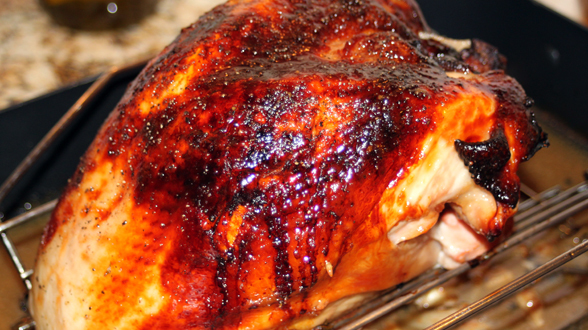 Apple Cider Turkey Breast is the right choice that will satisfy all your claims.